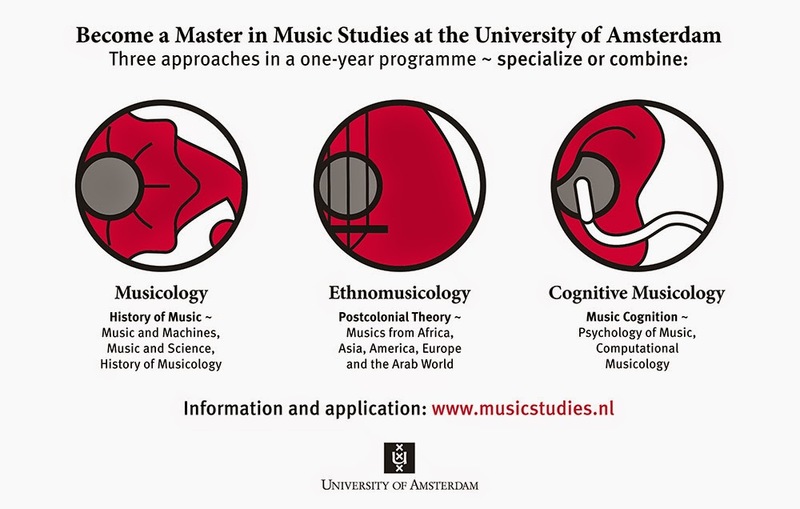 Music Matters | A blog on music cognition: Interested in doing a Master in Amsterdam? Interested in doing a Master in Amsterdam? Application deadline for our one-year English-language MA programme in music studies is extended. You can apply until Sunday 3 March 2019 23:59 hours CET. Check it out now at www.musicstudies.nl and spread the word! N.B. For Dutch/EU students the deadline is 15 May. Interested in rhythm and synchrony? Interested in the biology of musicality? A look behind the scenes?